"Congress should be asked if their relation is with (Lord) Ram or with foreign invader Babur. The Congress has no idea about the country's respect and 'swabhimaan' (self-respect)," Yogi Adityanath said. 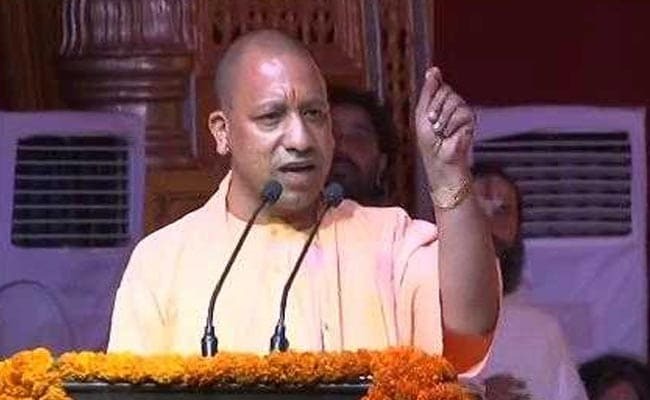 Raking up the Ram temple issue, Uttar Pradesh Chief Minister Yogi Adityanath today sought to know whether the Congress was concerned about Lord Ram or Mughal emperor Babur. Addressing a poll rally in Chhattisgarh's Lormi on the last day of campaigning for the first phase of the state polls, Mr Adityanath alleged that the Congress toyed with national security and supported Naxalism in Chhattisgarh and Jharkhand for political gains. Despite having extensive mineral deposits and forest wealth, Chhattisgarh remained "poor, backward and a BIMARU state" during the Congress rule, he said. BIMARU - an acronym formed from the first letters of the names of the states of Bihar, Madhya Pradesh, Rajasthan, and Uttar Pradesh - was coined in the mid-1980s to refer to the poor economic conditions within those states. "Today, the forest wealth is being used for the welfare of locals. The adivasis (tribals) and forest dwellers are being given benefits of development schemes," Yogi Adityanath said. "The Congress encouraged Naxalism for its gains, but when it (Naxalism) became dangerous for the security of people, it was the BJP which had to deal with the issue sternly. The Congress has been encouraging Naxalism actively and covertly," he alleged. "The Congress, for its own gains, played with the security of the country. Be it Chhattisgarh or Jharkhand, where the issue was giving asylum to Naxalites or using states like Jammu and Kashmir for political benefits. But for the BJP, national security is of prime importance, hence (it) never accepted toying with it," Mr Adityanath said. He said that not a day passes when at least two to three terrorists are not gunned down by security forces in Kashmir or surrender to the armed forces. Similarly, not a day goes by where people in Naxal-affected states are not being provided complete security by the state governments, the senior BJP leader said. Speaking about Ayodhya, he said, "While it is a known fact that Lord Ram was born in Ayodhya, the matter is pending before the Supreme Court. Senior Congress leader Kapil Sibal had petitioned before the court that a decision should not been taken over the issue before 2019, he said. "The Congress should be asked if their relation is with (Lord) Ram or with foreign invader Babur. The Congress has no idea about the country's respect and 'swabhimaan' (self-respect). The Congress always played with the national security and is now coming in front of you for votes," the Uttar Pradesh chief minister said. He said Chhattisgarh could only develop when the BJP governments at the Centre and state worked together. The elections to the 90-member Chhattisgarh Assembly will be held in two phases on November 12 and 20.